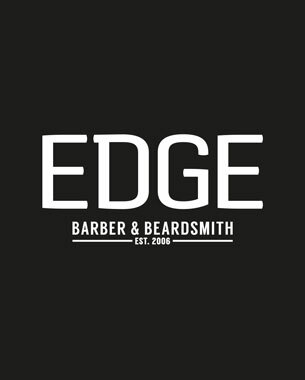 As an established and recognisable mens hairdresser in the main shopping malls of Cape Town, Edge for Men required a refresh of their current look to capture the traditional appeal of barbershops, and to promote their offering of beard trimming, without alienating an existing client base of both men and women. 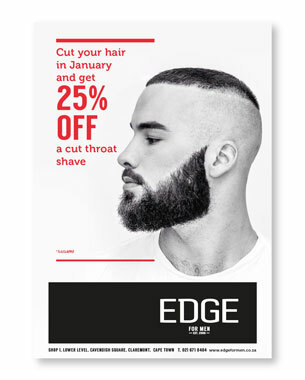 The Edge for Men identity is used on all primary communication (advertising, promotions, signage). 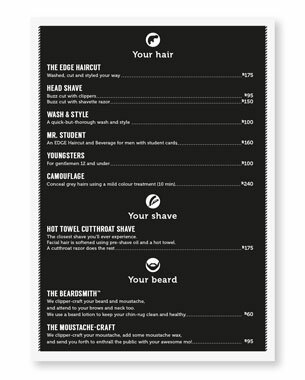 Edge Barber & Beardsmith is applied to the Menu of Services. The strong black and white palette was retained with the addition of barbershop red for use in promotional messaging. Simple graphic icons were developed for menus to assist in guiding the client through the menu of services. © 2015 Birdesign. All Rights Reserved.